In 2008 it was named the World’s Top Travel Destination and Rudyard Kipling called it the 8th Wonder of the World. It is New Zealand’s most famous tourist destination and ThePlanetD call Milford Sound on New Zealand’s South Island simply marvelous. 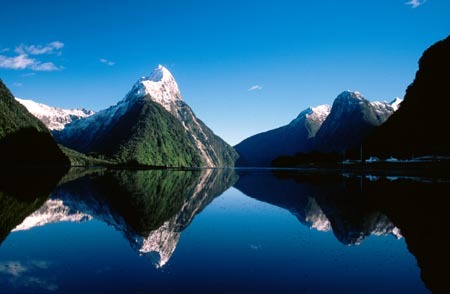 Milford Sound, located in the southwest of New Zealand’s South Island, is located within the Fiordland National Park. 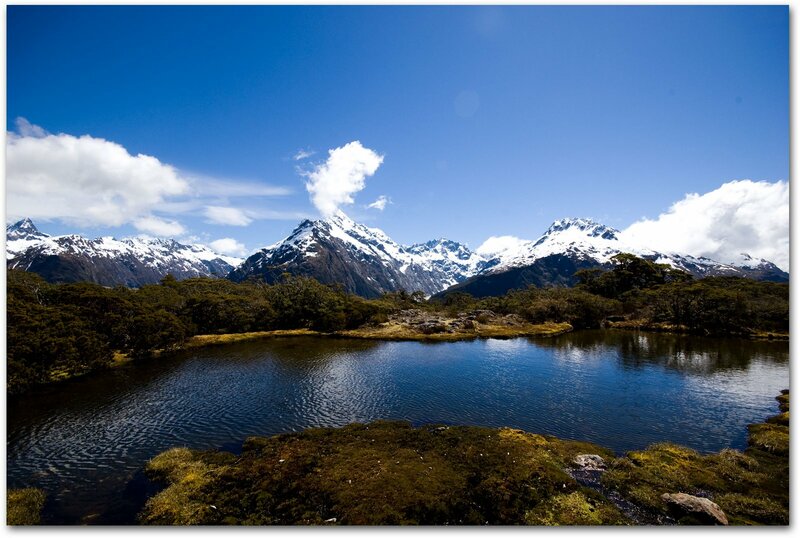 It runs 15 km inland from the Tasman Sea and is surrounded by sheer rock faces that rise 1200 m or more on either side. Among its most striking features are Mitre Peak, rising 1,692 m above the sound, the Elephant at 1,517 m and resembling an elephant’s's head, and Lion Mountain, 1,302 m, in the shape of a crouching lion. Lush rain forests cling precariously to these cliffs, while seals, penguins and dolphins populate the water. The cruise ships that bring visitors into Milford Sound, New Zealand, become as tiny toys against the backdrop of sheer cliffs and towering mountains. 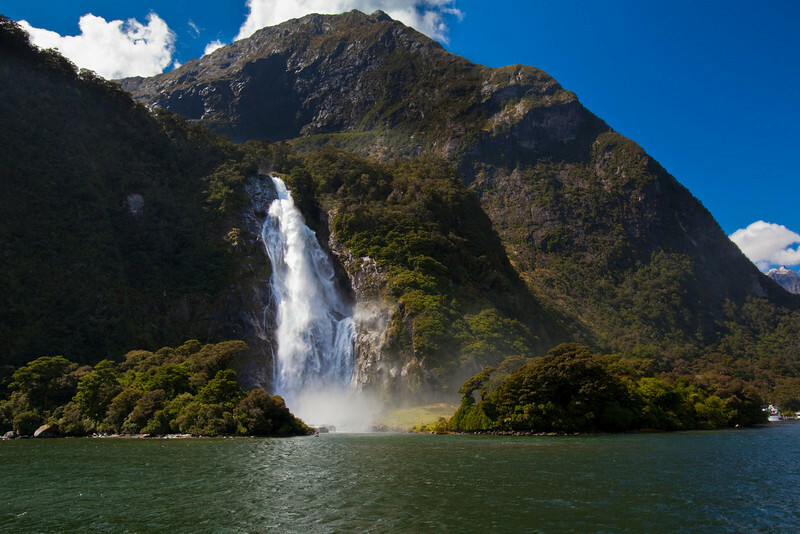 The Milford Sound landscape is innately New Zealand, although it is but one of the country’s many faces.